You know the story. you carefully remove the specimen. 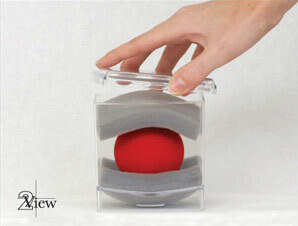 You place it in a container for imaging. The imaging technologist compresses your specimen, potentially fracturing your margins before the specimen gets to pathology. Or imaging can get you one view of the specimen. You hope that area of interest is not too close to the top or bottom of the specimen, which could result in re-excision. Or you ask the technologist to rotate your specimen 90 degrees to get a second, orthogonal view. The manipulation by the technologist can again fracture the margins. And the ability to get a second view at exactly 90 degrees is highly operator dependent. Either way, you close the patient not exactly sure pathology will report "clear margins." 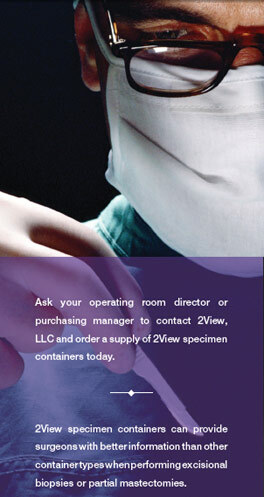 With a 2View, the surgeon oversees placement of the specimen in the container. 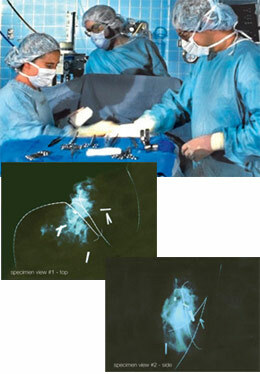 The surgeon directs the OR staff to apply just enough retention pressure to hold the specimen in place without distortion. 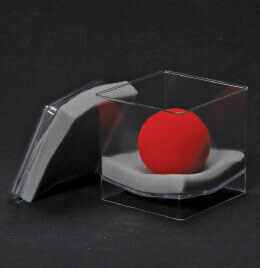 The container can be used for transport and imaging (including orthogonal views) without being opened. The radio-opaque grid on the lid helps the radiologist communicate areas of concern to the surgeon. The specimen remains untouched and unmoved until it is removed from the container in the pathology lab.